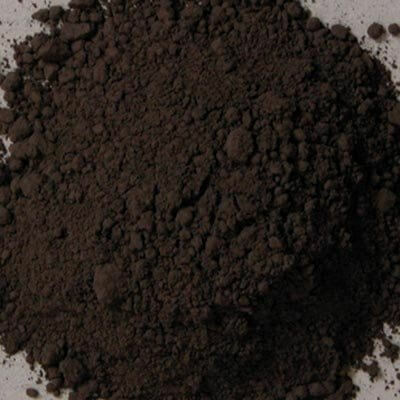 A natural brownish-black earth that is a dense, opaque, heavy color that is absolutely permanent. Black earths of Rome and Venice are mentioned by writers, such as De Mayerne. 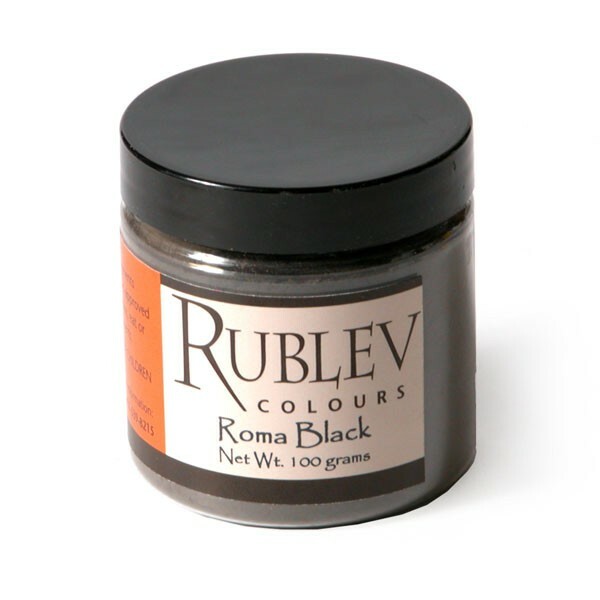 Roman black earth (Terra nera di Roma) is described by Salter as producing ‘the same effect as charcoal black’. It is comparatively warm to neutral in undertone, wets easily, and is non-greasy, when compared to carbon blacks. It is a useful pigment when these qualities are required. Black oxide is a recent development in modern pigments and was not often encountered in artists' palettes before the 19th century. However, black earths that are mixtures of iron oxide, manganese oxide and carbon have been in use since Antiquity. Natural black oxide absorbs a moderately low amount of oil. The oil absorption ratio is 20–25 parts by weight of linseed oil to 100 parts by weight of pigment. If the measurement were grams, it would require 20–25 grams (by weight) of linseed oil to grind 100 grams (by weight) of pigment to form a stiff paste. It makes an average drying oil paint, and forms a hard, fairly flexible film.